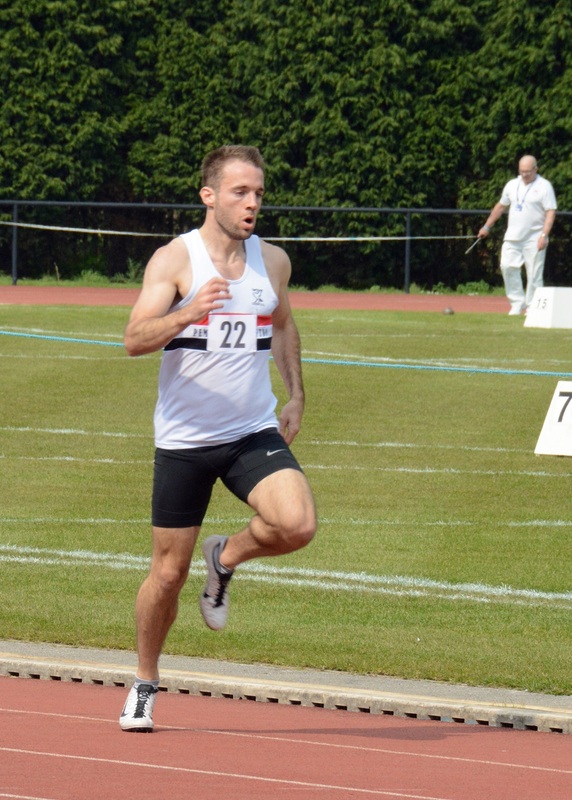 The conditions were perfect for track and field action at Wigan’s Robin Park. Liverpool Pembroke Sefton were up against some very tough opposition in their opening Division 2 fixture of the Northern League. While there were many excellent performances the club failed to fill numerous events and subsided to fifth team on the day. It will take another super-human effort in the next match to restore the balance. There was some classy sprinting from the men. 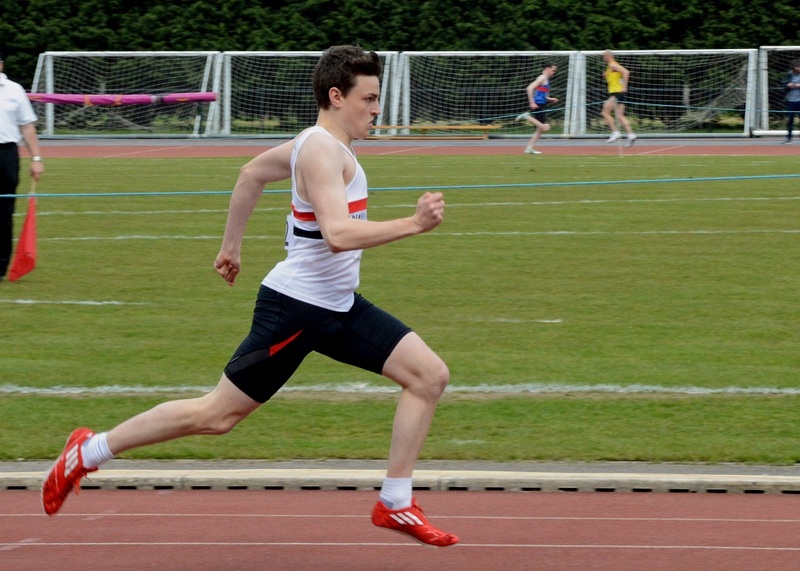 Elliot Jones was second in the 100m with 11.2 while Ed Latimer was even sharper taking the B event in 11.1. 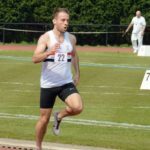 Joe Milton was the A string nominee and third in the 200m with 22.4 with Ed Latimer again playing his part winning in 22.8. 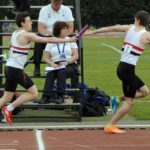 The two LPS reps at 400m, Luke Edwards and Danny Higham were superb with times of 48.8 and 48.6 respectively, Luke just losing out on first spot but Danny trouncing the rest in his event. 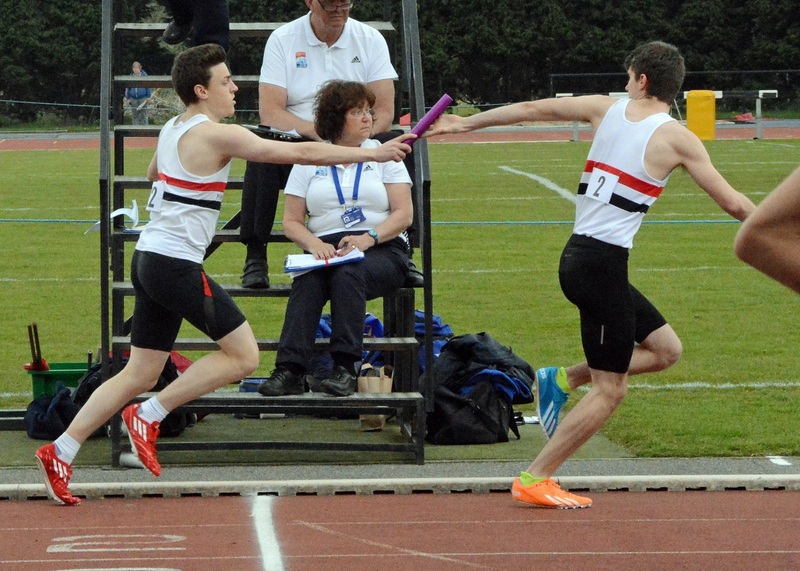 Later in the day a combination of this squad took both the 4 x 100m and 4 x 400m relays with style. The middle-distancers put on an equally good show. 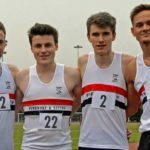 Harry Doran(1.55.0) and Jack Crook(2.01.8) made a clean sweep of the 800m event. 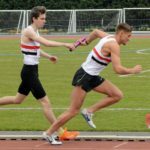 James Loftus(4.11.7) was third in his slot of the 1500m and Jonathan bride(4.17.7) second in his. 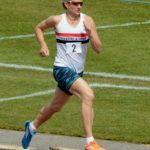 The 5000m had Aaron Jarvis fifth with 16.57.3 and Mark Wynne second on 17.00.0. So far so good but the complete absence of hurdlers was having a punishing effect on team chances. The high jumpers, as usual, raised the spirits with Billy Williams third on 1.85m but eyes are on the growing talent of young Kai Finch an easy winner of the B event with another 1.85m leap. The flat jumpers in the shape of Matt Ingram and Rob Parkinson enjoyed their events. 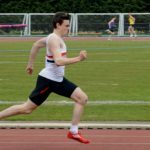 Matt was third in the Long Jump(5.94m) and fourth in the Triple(12.17m) while a returning Rob posted two emphatic wins(5.25m and 11.32m). Mark Crompton was a lone Pole Vaulter(2.80m). The stars of the throws were a veteran double act of Mark Crompton and Dave Brown. They were both third in the Hammer Dave(29.30m) and Mark (18.33m). At Discus Dave was fourth(31.93m) and Mark second(24.33m) and at the Shot Dave was fifth(10.22m) and Mark 4th(7.70m). 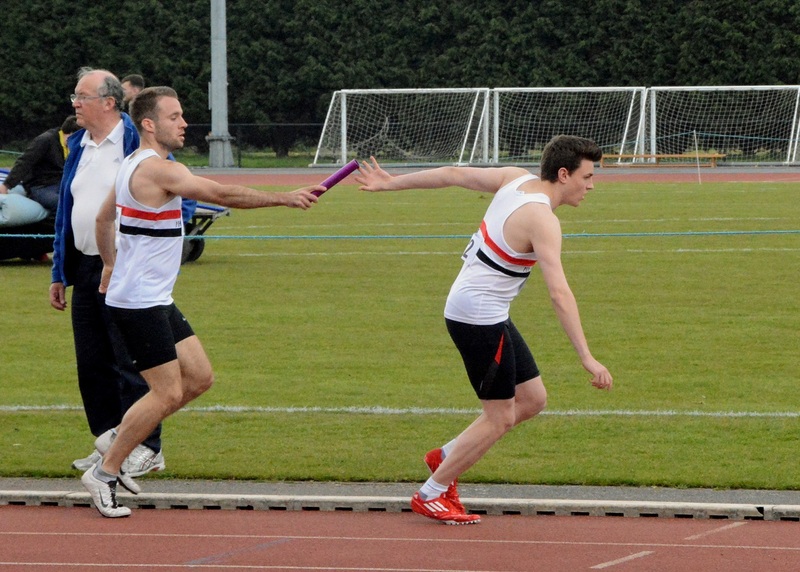 Promising newcomer Will Hind was fifth in the Javelin while ever-dependable Dave was fourth with 36.03m. For the women there were solid efforts from Emma Givens(13.5) and Evelyn Smalley(13.3) at 100m and from Ella Barton(26.5) and Evelyn(27.5) at 200m. 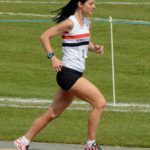 Northern Masters Champion, Care Constable ran a very good 63.8 for 400m and Jessica Fitzgerald 67.2. Clare reappeared for fourth in the 800m with 2.26.2. 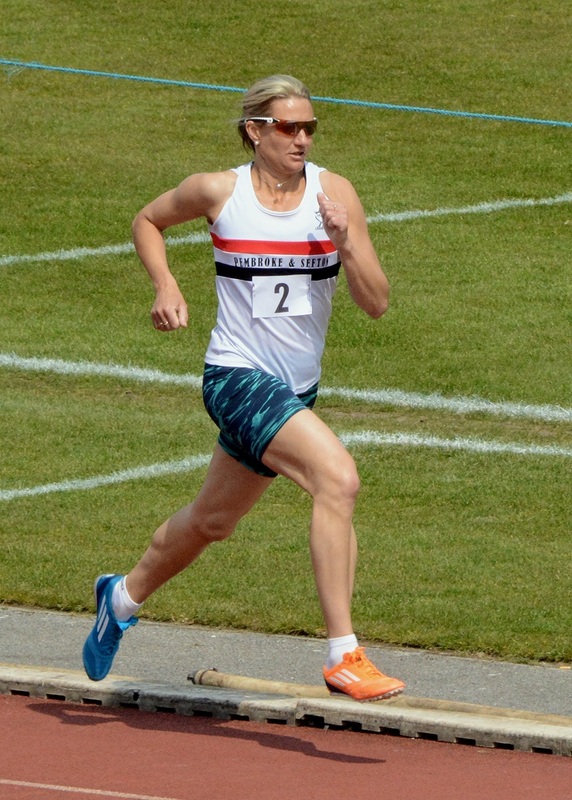 Tess Robinson recorded 4.58.4 to finish second at 1500m but one of the best fighting performances of the day came from Morag Molyneux who took the B race in 5.09.9. Tess was back for 3rd at 3000m(10.24.1) while captain Kirsty Longley took the B in 10.49.7. 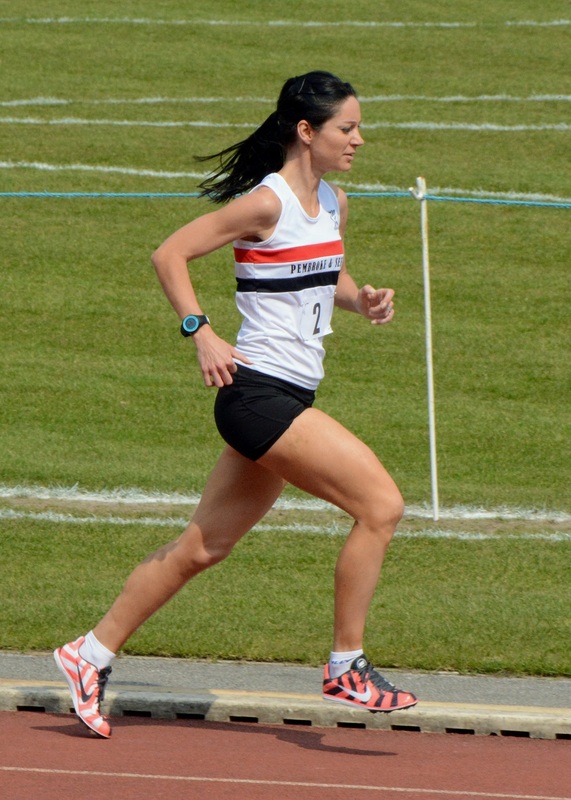 The only hurdler of the day was Lucy Townson (89.4) who was third in the 400m Hurdles. In the field Deborah Dasse high jumped 1.50 along with Jorden Pilkington on the same height. Elsewhere Evelyn Smalley long jumped(4.71m) with Rachel Hutchinson in support(3.39m). Deborah Dasse triple jumped(9.78m) with Lauren Wilson(9.69m) for company. The Throws saw the very welcome return of Rachel Hutchinson, third in the Hammer(29.9m), 4th in the Discus(17.72m) third in the Shot(7.40m) and a B third in the Javelin(15.38m). 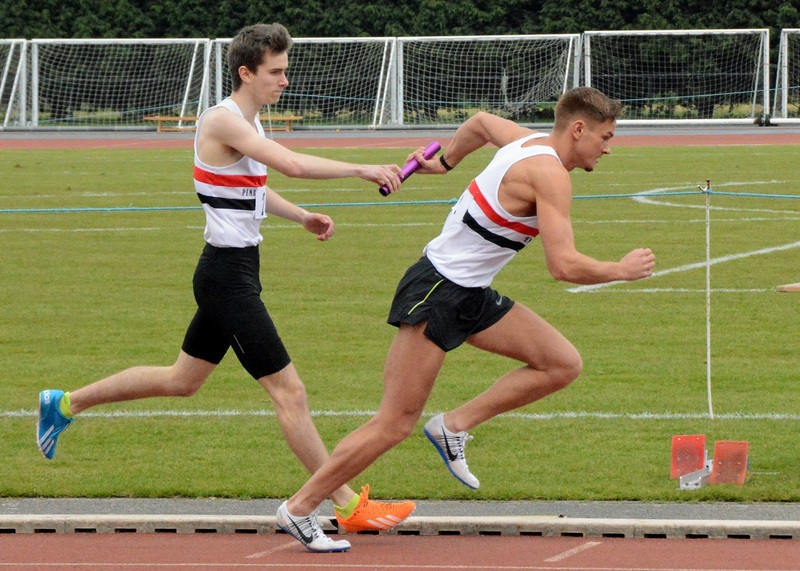 Jorden Pilkington helped out in the Javelin(16.87m) and Shot(6.74m). 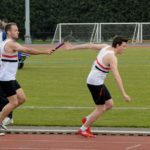 There was a spirited fourth placing in the 4 x 100m relay.These sort of efforts ensured that while the club struggled the overall points situation was not too far off that of at least a couple of other higher placed clubs. Hope springs eternal. 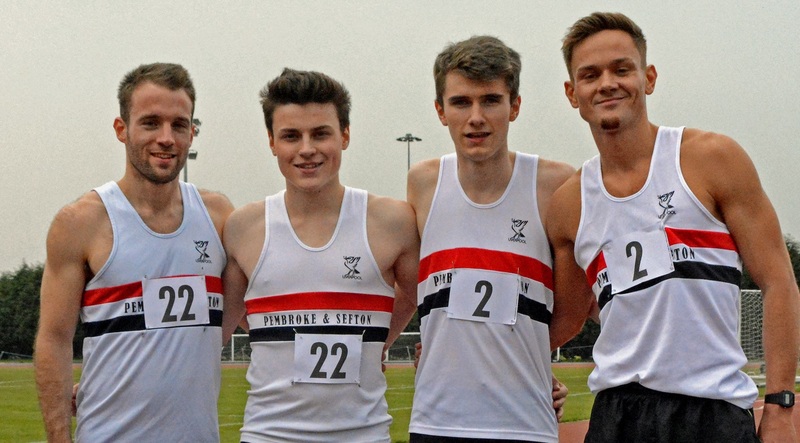 Winning 4 x 400m relay squad…Danny Higham, Ed Latimer, Joe Milton, Luke Edwards.